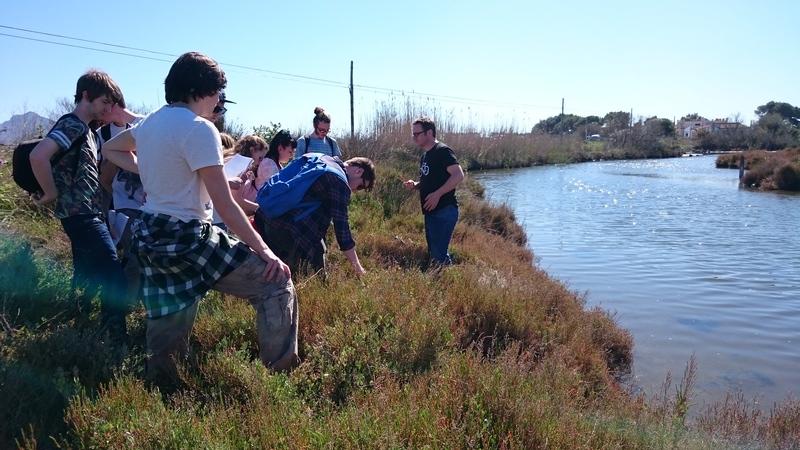 For many years the students on the Comparative and Adaptive Biology field course in Mallorca have visited the strandline and salt marsh plant communities at the Albufereta Nature Reserve on the Bay of Pollença. This year, however, we went for a tour of the S’Albufera wetland (a Ramsar protected site of international importance) by Gaspar, one of the team who manages the reserve. The reserve has been protected since 1988 and is surrounded by the coastal tourist resorts and inland agricultural lands. 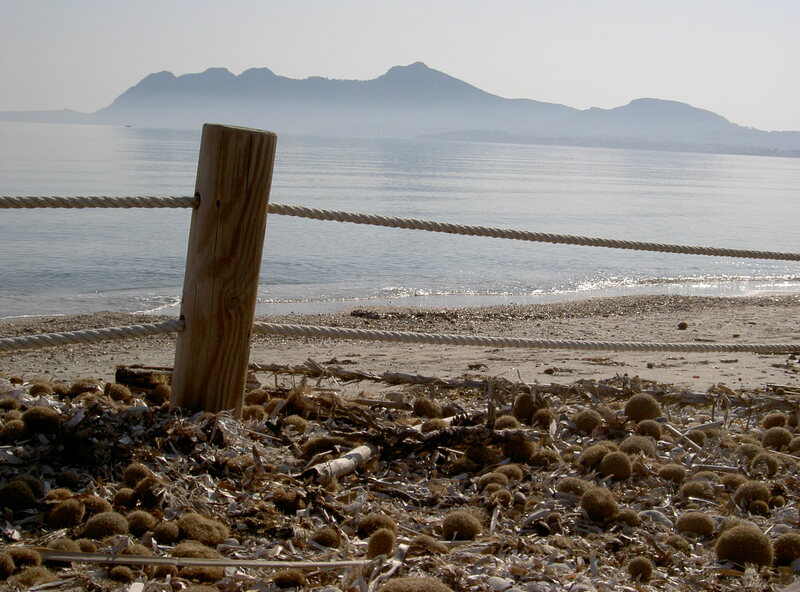 The land around the Bay of Alcudia is naturally marshy, with water from the seasonal rivers (torrents) held back by the sand bars at the coast. However, the marsh isn’t entirely fresh, but is brackish and salty in places as seawater infiltrates the sand to saturate the land behind. This winter was drier than average, leading to the marsh being saltier than usual for so early in the year. In the 19th century, the British civil engineer John Frederick Bateman carried out work to drain the marsh for agriculture, creating the infrastructure which is still visible today – a network of canals, ditches, bridges and old pumping houses. More recently the focus has been on retaining the water and so sluice gates have been added to maintain the wetland habitat for wildfowl. The reserve is a carefully managed mosaic of old reedbeds (dominated by Phragmites australis), open waters, scrapes and salt marsh. Horses are particularly important for managing the more open environments, keeping the reeds in check. 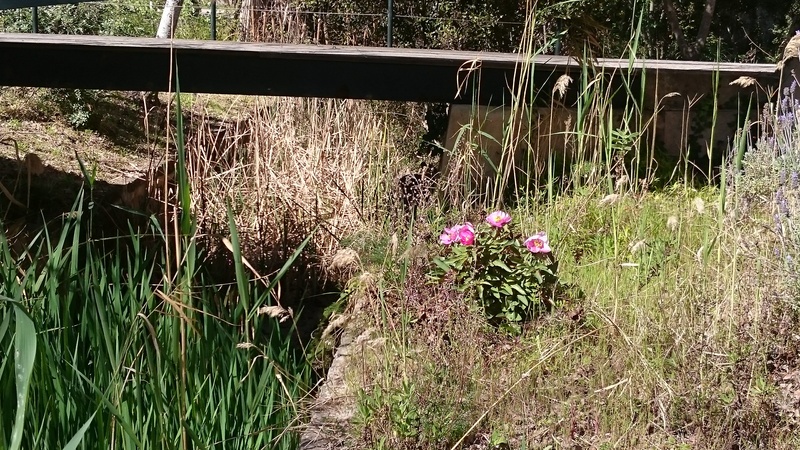 Probably planted, but still, a Mallorcan peony in flower in Mallorca! 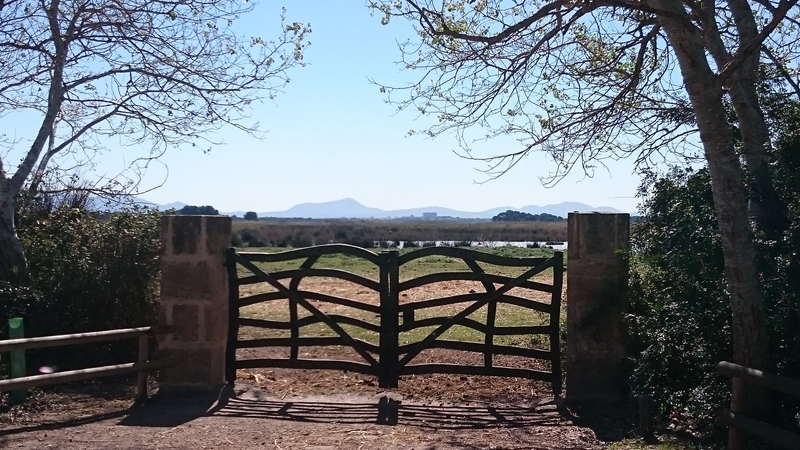 The human population around the reserve around 60,000, but over the summer season this can triple with the arrival of holidaymakers seeking some Mediterranean sun. This places a huge increase in demand for drinking water and wastewater treatment over the driest months in the Mediterranean. It is at these times when the reserve is at its most vulnerable from pollution (e.g. nitrates escaping from water treatment works) without the potential for a diluting influx of freshwater. The wetland is used by some bird species all year round and by others who use it as a staging post on their migrations. With the background soundtrack provided by Cetti’s warblers, we watched black-winged stilts, avocets, egrets, a kingfisher, shelducks, crested coots and an osprey. Still, the zoological highlight happened later in the day as the flamingos treated us to a fly-by on the beach. This entry was posted in Adventures, Collecting, Students and tagged Field course, flamingo, Majorca, Mallorca, marsh, migration, saltmarsh, Students, The University of Manchester, water. It’s that time of year again when a lucky group of 1st year undergraduates from the University of Manchester head to the Mediterranean to learn about plant evolution and adaptations. 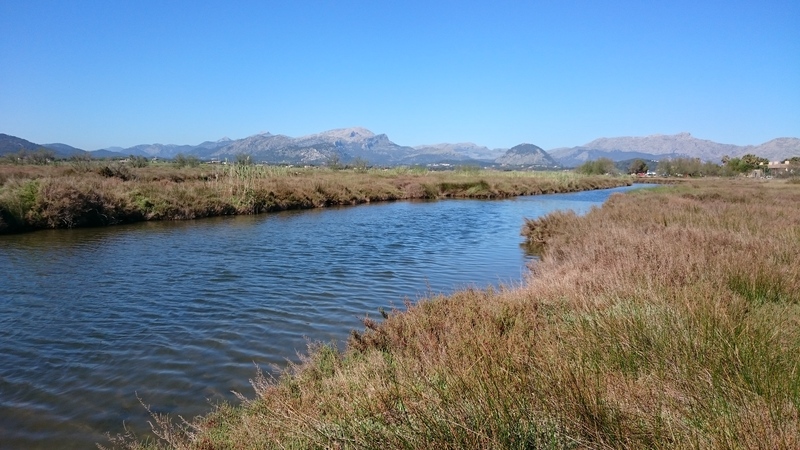 This year in Mallorca we stopped at a slightly wetter part of the Albufereta, a small salt marsh near to the town of Alcudia (north-west of the lager famous wetland and Ramsar site, the Albufera). With more water in evidence, this part looked like a better place for the students to learn about mechanisms plants can use to tolerate salt stress. 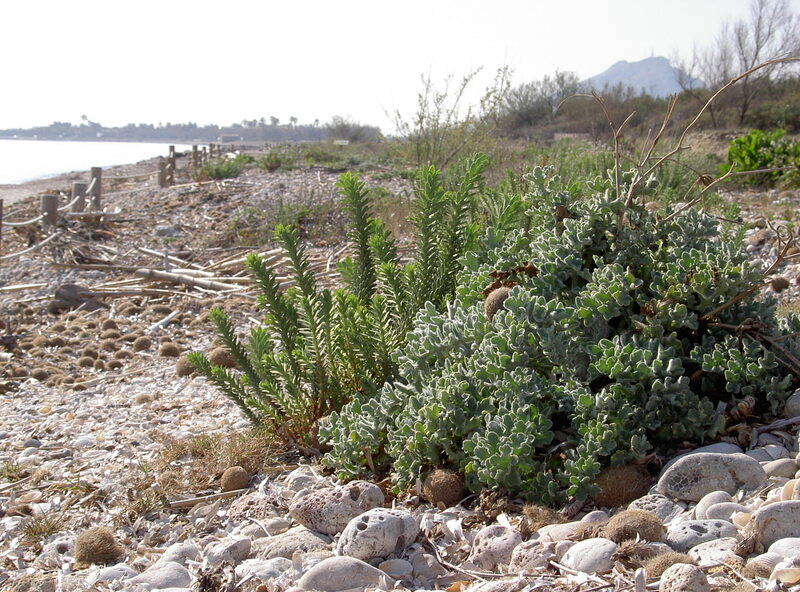 The area is dominated by three plant species Arthocnemum macrostachyum (Glaucus glasswort), Halimione portulacoides (Sea purslane) and Juncus maritmus (Sea rush). Each of these has has specialised mechanisms for living in high salt, waterlogged soils such as succulent stems, the ability to exudes salt onto the leaves or air-filled spaces within the leaves and stems. Patches of slightly higher ground, however, allowed other plants to grow, including this Grey birdsfoot trefoil (Lotus cytisoides). The weather had been a little cold over the preceding weeks and as this was one of the few plants in flower it was getting a lot of attention from the bees. We see a lot of this plant on the strand-line and sand dune systems around Alucudia. It is clearly also salt-tolerant, but likes freer-draining soils and cannot cope with waterlogging. In flooded soils, air spaces fill up with water and bacteria rapidly use up available oxygen. Without special adaptations, plants in waterlogged soils can die as their roots are effectively suffocated as the flow of oxygen and carbon dioxide in and out of the roots is limited. Roots can then be invaded by fungi and other pathogens and the above ground parts of the plant suffer as water and nutrient transport from the roots is affected. 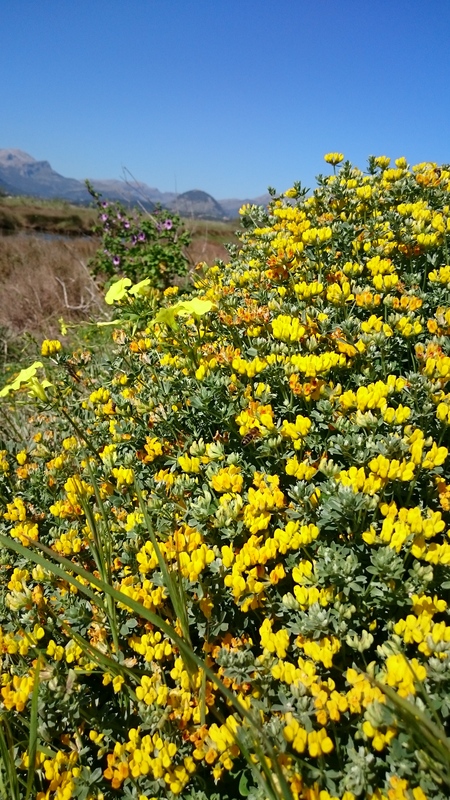 This entry was posted in Adventures, Biodiversity, Students, University of Manchester and tagged adaptation, birdsfoot trefoil, Majorca, Mallorca, Ramsar, S'Albufereta, salt, salt marsh, salt-tolerant, Students, The University of Manchester, undergraduates, water, waterlogging, wetland. Not a waterproof coat in sight! Now there couldn’t be a finer way to listen to a lecture! These first-year undergraduate students from the University of Manchester are in Mallorca to learn about Mediterranean ecosystems and plant adaptations to the climate. On days like today it’s much easier to explain the challenges of the Mediterranean climate than on days when the rain is falling steadily. 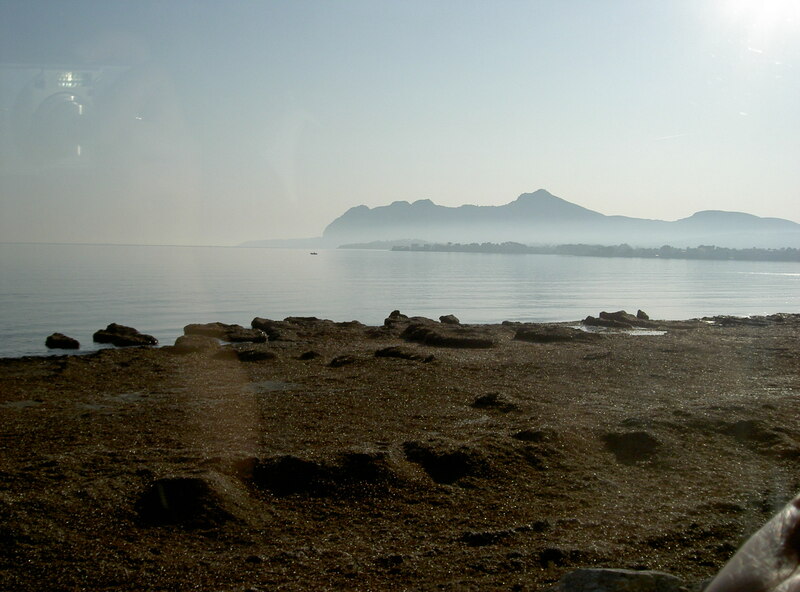 They also get to appreciate the view too; this view is out across the Bay of Pollensa where underneath the water there are large beds of seagrass called Posidonia oceanica or Neptune’s grass. Although underneath the waves, it not a seaweed and is actually a flowering plant. 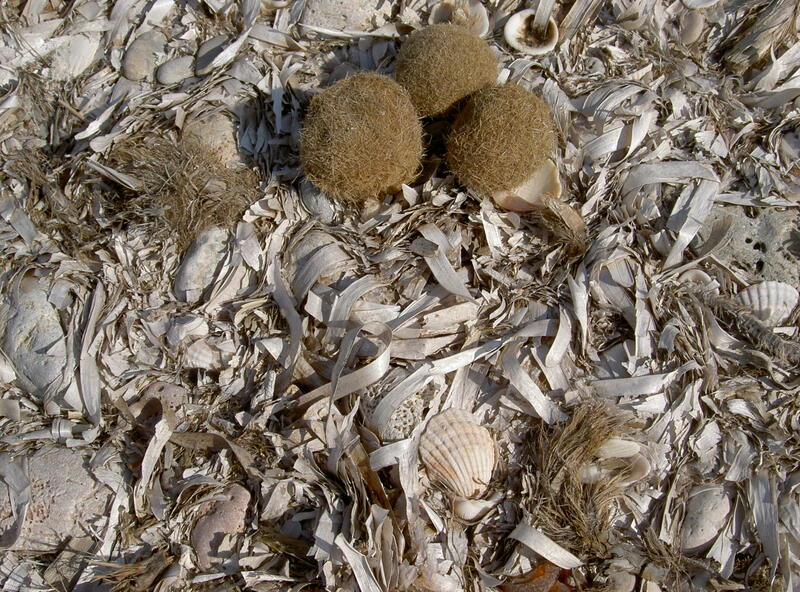 It can produce fruits which float on the ocean, but it also spreads very slowly by creeping rhizomes. A recent study published in the journal Plos One has shown that these clonal meadows of seagrass could be thousands of years old. Growing at depths of about 1-45m (depending on water clarity) these seagrass beds are very important ecosystems. These meadows trap carbon dioxide and release oxygen in coastal waters through photosynthesis, provide energy at the bottom of the food chain and act as nursery grounds for many fish and invertebrates. The environmental importance of this ecosystem is reflected by its protection as a priority habitat by the legislation of the EU Habitat Directive and by the programs aimed at conserving it. These meadows also have important effects on the seashore. Debris is washed-up from below the sea and collects on the beaches, sometimes forming great sculpted ‘cliffs’ of plant material. 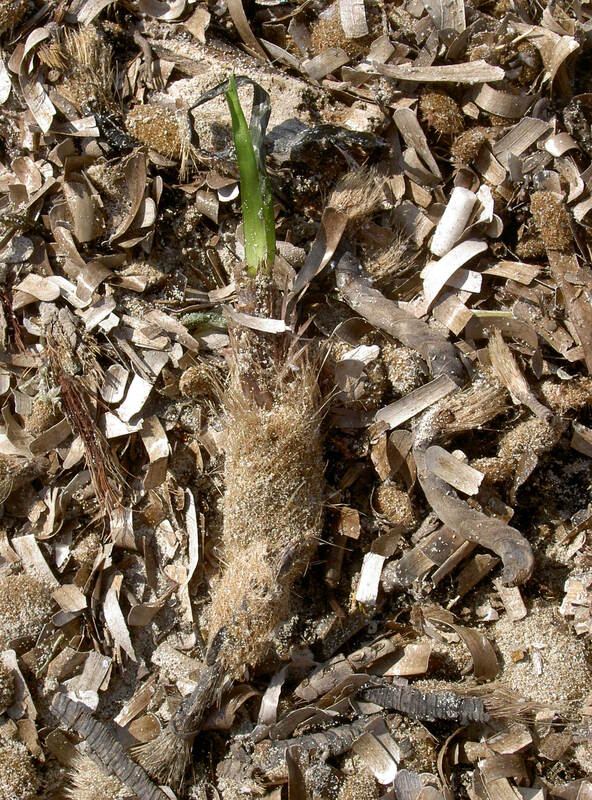 These heaps of dead seagrass leaves and rhizomes are striking, but far more curious are the fibre balls which can also be found on some beaches. Wave action on the beach smashes up and wears away the tissue of the seagrass leaves, leaving only the leaf veins which get tangled up and moulded into these pebble shapes. 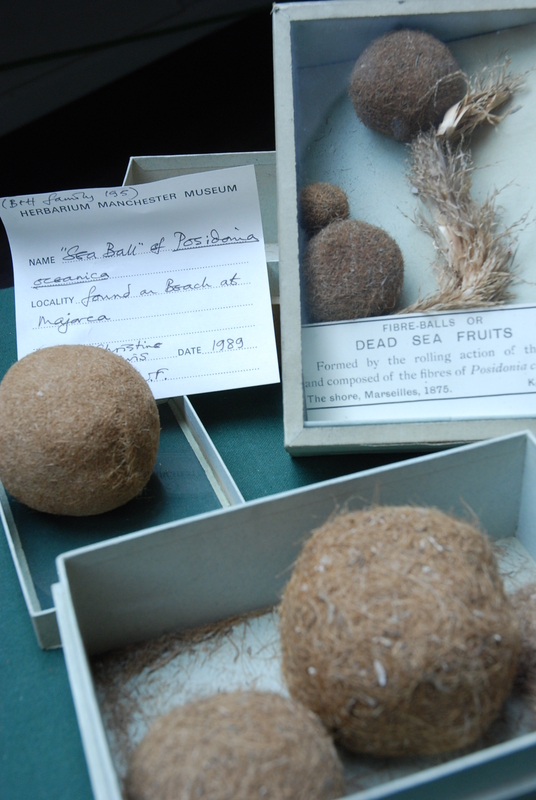 Fibre balls in the herbarium collection. Which ever form the material ends up on the beach in, once there it helps to stabilize the shifting sands to build dunes, to retain water and to provide nutrients which allows plants to colonize the strandline. Plants such as this lovely yellow-horned poppy (Glaucium flavum) which sadly isn’t in flower yet. Best go back to staring a that sunny view……….. 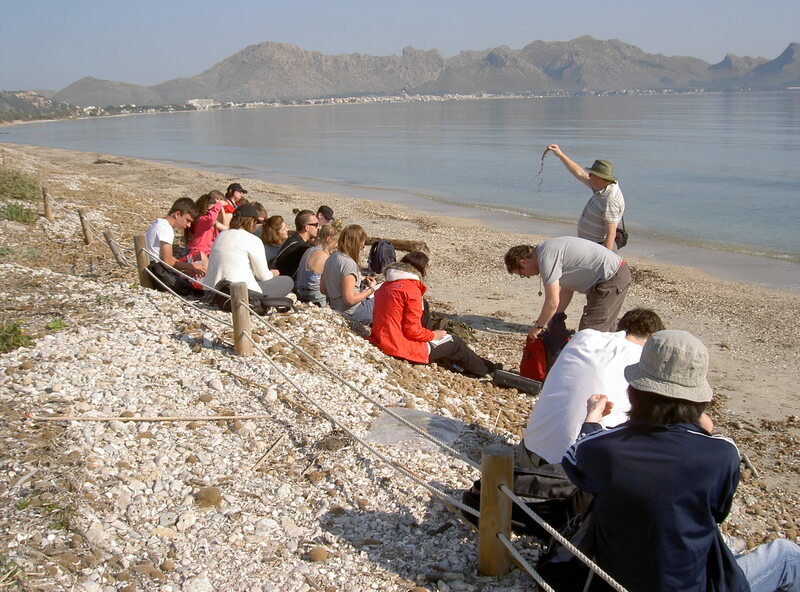 This entry was posted in Adventures, Botanists, Students, University of Manchester and tagged Field course, lecture, Majorca, Mallorca, Posidonia, S'Albufereta, Spain, strandline, Students, undergraduates.